This article is more of a personal writing and is written with the only intent of sharing with other sadhaks and in totality reflects my personal views only. This is a question that many hold since a Christian name I hold :) That is why I thought I must share with you my views. Babaji says, "If there are variety of dishes in front of you, do you eat everything? If you have variety of clothes displayed to you in a cloth store do you choose everything? No. You exert your power to chose. You cross verify, examine, compare, ask questions, clear doubts, match your budget, match your liking and then you choose." Paths are many, masters are many, options are many, techniques are many. People choose. I did the same. Now that does not mean that the clothes I did not buy were bad. The only attire I chose matched my liking, affordability, practicality, satisfied my queries and best of all I thought would look good on me and vibe well with me. The rest were not bad for I know it is not practical. When looking at a menu anyone would chose just a very few of their favorite food. Not that other food is bad but what would happen if one try to eat all varieties at one time? Indigestion? Same reason is why one loves all paths but walks on one. I would say that I would like to munch on other delicacies also as snacks but would prefer my favorite food to satisfy my hunger. Things were not easy for me since I am from a Christian background. Even now things are not easy because it is a big question raised on beliefs and societal rules over beliefs. Right from my childhood days, I had very less inclination towards rituals and formalities. I never preferred going for mass (prayer gathering and sermons) in church but I would always prefer going to church when no one was there and picking the last corner bench of the church. Something never made me go through a communication with God by following a standard set of procedures. I always preferred silence for that. I began asking my dad lot of questions about religion including questions that startled him and he and others never preferred answering; maybe they feared something. I strangely had an inclination to Lord Shiva. Something in the back of my mind told me that all religions are one. The concept of God is nothing but that one power. What provoked me to think beyond heaven and hell were the questions that arose in my mind when I saw a child suffering or a dog suffering. I pondered why a child is born with abnormalities when such a little being cannot sin? Why a dog who lies calm in his own place without hurting anyone had a broken limb? Isn't God watching? Why does he not do something for these little creatures? I failed to understand why the best of people doing good suffered while the bad still enjoyed? I asked and asked questions but the answers either did not come or did not satisfy my conscience. That is when I probed into the law of karma and went through it all and the clarity to every doubt started falling into place. My life had always been very stressful since childhood undergoing a number of problems including ailments, emotional problems and other difficulties of life. I continued probing into all religions and never ever felt aversion to any religion. They were all so beautiful; people made wrong interpretations - this I could read through very well. I could not argue or questions these things because the "masters" of these religions would never take it. My father was a great influence to me as he helped and served other religions without any hesitation. More facts started to reveal itself as I probed into religions and one thing was very, very clear to me - that all religion quenches the spirit of the same power. Yet I could not understand why people fought and argued and defended. I let people alone and followed what I liked - being nonreligious. But people never stopped letting me be alone. There was criticism, mockery, sarcasm, threat of being labelled insane, anti-religion, etc, etc, etc. I understood that it is the fear of people that had been instilled by religions or society that hell will break loose if one questions anything about religion or looks at other Gods or religion. I was sure that I will not leave Christianity and I was also sure that I would not join any other religion because if I did either of this, then I would be still giving importance to "religion". But at the same time I was doubly sure that I will not ignore any religion. I love the teachings of Christ and feel that love whenever I think of him also. Even the world "allah" gives such a good vibration. Sometimes the words "inshah allah" (God willing) slips out when I acknowledge certain things in life happily. I know this can raise eyebrows but then who cares. I could get into the same trance with a sufi song that I could get with Shiva' s song or a Christian hymn. Then I got into the process of meditation to get relief from the worldly troubles and stresses of daily life. As my turmoil with the world increased, my interests into spiritual practice also grew stronger. The stronger this urge, the more I probed and experienced insights into lot of things right from cyrstals, reiki, pranic healing, tai chi, dowsing, telepathy, out of body experiences, past life regression, etc. I must say it was an awesome journey since then, meeting people, spiritual guides, ascended masters, learning so many things. I was reading and digging into the teachings of Buddha also at the same time. But inspite of the continued turmoils in my life I knew that I was divinely guided at all times by some mysterious or invisible forces or beings that let out their support through so many mediums and "co-incidences". But all the while I knew that I cannot dip all my fingers and wander forever into the vast spaces of infinite knowledge and experiences. I had to choose one path - one way. I then came across the words of Osho and that was the biggest turning point into mysticism made simple. i was also very highly impressed the ways the Bramhakumaris lived their lives, in service, contemplation and purity. i was so enchanted by them that i was pulled to a local center where i went to them and learnt from a Sister every day for about a month. 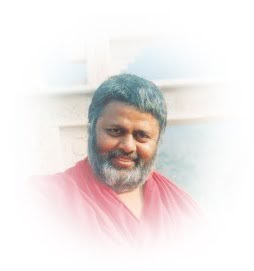 My search for a path began and I was extremely enthusiastic to have a Guru in life. I went through many Gurus, many practices, many paths, but each time I moved to something else I made sure I learnt something from what I had been into. I found that almost all were genuine in what they were sharing with the world and assisting in the Divine mission in their own ways. They all had different ways and methods and those who suited them became their disciples or followers and dedicated to their practice. I wished to fine tune into something perfect for my taste since I knew all had different tastes. 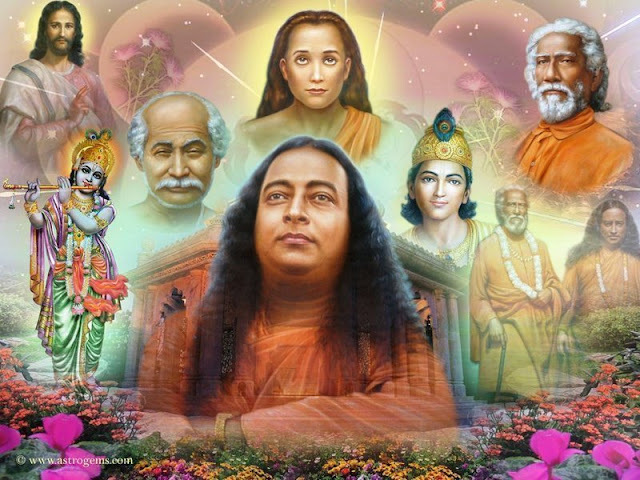 I was reading about Yogananda Paramahamsa and all the lineage of masters I found so loving and energetic. I was blessed by them each time I thought of them including the entire lineage of Yoganandji, Sri Yukteshwarji, Lahari Mahasayaji, and Mahavtar Babaji. It followed with many mystical experiences whenever I sat to share with someone about meditation. Then I came across Nityanand Paramahamsa's teachings and videos which I immensely benefited from and I even today owe Nityanandji gratitude for the precious things I learnt from him irrespective of what he may be judged as by the world today. I also had many divine mystical experiences with Sadhguru Jaggi Vasudev and his ways. But all the while I still went to church and still sat on that last bench alone and had wonderful conversations with Christ. Jesus Christ, Mother Mary and St. Anthony always guided and comforted me in all my pains. They were the best friends I could openly talk with and get reassured and feel comforted. But in the bottom of my heart I knew I had to chose one path and follow it because though all are useful one cannot follow all at the same time. It can be the most biggest hindrance to a seeker. Just like all religions deserve to be respected, so do all the Masters and saints and Gurus deserve their due respect. It was easy for me to blend into everything without getting contradicted because of this fact that I knew though all had different ways, all were moving towards the same goal. This quality itself helped me "get out" of the "religion" label in the first case. At this time, about two years ago, my life was taking another major twist perhaps a pour of karmic clearance and this time I was swept off my feet and got a taste of real human relationships and the attachments that come with it. Heavily shattered and not knowing what to do, I remember my steps going towards the calmest place I could think of and that was the Ramakrishna Mission Temple where I used to frequent with my friend since long. Here amidst of a tearing pain of the multiple traumas in my life I felt peace and comforted. I began pondering at this stage what is the meaning of life and where are we all heading. I looked around and saw only chaos everywhere; though people did not reveal things I could make out what is happening on the inside. The need for a teacher and a path grew stronger again. I knew I was following many paths at the same time. I had learnt well the path of karma yoga while being acquainted with the teachings of Swami Vivekanandji. I also put myself into bhakti yoga at the Ramakrisha Ashram. I read about Jnyana yoga and was immensely impressed. Then I went into hatta yoga and joined classes with the guru Abhayji where I learnt a bit of Iyengar Yoga. I was also blessed with the opportunity of meeting my hatta yoga Guru's Guru, B.K.Iyengarji at his Pune residence. Very little did I know that these all were just mediums to reach me to my Guru. What you long for with all craving will manifest unto you in some mysterious way! Then came a day when I was very troubled by the current personal issue and went to a spiritual friend of mine for solace and asked him for a certain book. He brought two books with him. One was the book I had asked for and the other was an unknown old book. I asked him why did he get this one. He replied, "Don't know, while I was picking up your book this just came into my hand and I guess it was intended for you." I looked at the book and it read. "Spiritual Conversations with Swami Muktananda". He looked odd to me but I just opened the book in the middle and read a paragraph. I was shocked because it contained the answer to the problem that was troubling me that moment! I thanked my friend and left with that book. The blow of this turn of life was so overwhelming that it crippled my normal life for sometime and it was my Mother's understanding and support that make things easy for me during that phase. While I lived hopelessly, whole day I only read this book and read it completely, being thoroughly influenced by the teachings. In this whole book Swami Muktanandji only spoke of the teachings of his Guru, Bhagwan Nityananda of Ganeshpuri. I never knew who all these people are. But then one day the same friend in our yoga class asked if we go on a tour to Ganeshpuri to see Muktanandaji's ashram and also at the same time we could meet our yoga guru's guru Shri Iyengarji. Quickly everything was planned and we set out. After reaching Ganeshpuri, we headed to Muktanandji's ashram but learnt that his ashram is closed and that we should visit Baba Nityananda's ashram which is close by. I did not know who was Baba Nityananda and wanted to go to Mukthanandaji's ashram itself because I was so impressed with his teachings. Little did I know that this was not the divine plan. (A detailed writing on this complete travel is in my other blog. If interested to read in vivid details click here.) We both then had no other option but to go there. We went over there and booked a room. After that we started visiting Baba Nityananda's ashram and the places where he sat, walked, rested and took samadhi. I had a very powerful and profound mystical experience the moment I sat in front of Baba's chair. I was assured during this visit by Bade Baba that I will get what I am looking for very soon, and that was a Guru in my life. After that experience I was very, very relaxed. I returned back to Pune, met Iyengarji and returned home. Days passed and I wondered what was to come and where is my Guru? Which is the path that I should take? I had been watching telecasts of many gurus on TV and that included Shivanand Avdhoot Baba's telecast. Those saddened days I used to be hours in front of the spiritual channels of all religions. I also enchanted by Baba Shivanand's telecasts but this Baba's teaching looked so simple and matched to what I always felt. There was no discrimination of any religion. His teachings reminded me of Jesus Christ's teachings. More of all what appealed to me was when Babaji said "You are responsible for whatever state you are in." The law of karma started making more sense to me. In fact, everything that happened or was happening in my life made lot of sense to me. I learned very bitter facts as I returned to watch the telecast everytime. One day, in my office cabin, my colleague spoke about Baba Shivanand's TV program and suggested if we could go to his shivir. I point-blank refused saying that I did not want to get into any religious stuff, but then he showed me the details of the program and I thought I could learn from it. Finally I decided I must attend his shivir for I was simply shaken by the overwhelming events occurring in my life. Reading and learning about Sages from India and studying all the time about them, pulled me more into the path of Siddhahood. Finally, I concluded that Siddha marg was my path, most suited to me, and at the same time I found myself in the shivir of Babaji. I recounted what I had learnt from Swami Rama about siddhas and yogis. (Highly recommend book: Living with the Himalayan Masters) Swami Rama was a Sri Vidya sadhak also. Swamiji roamed the entire Himalayan ranges and Tibetan land for many years and learnt many things from many gurus. It is very interesting to note his learnings that he has mentioned in detail about the yogis and the siddhis that he experienced while learning. Swamiji is very honest in his writings and this book can be an excellent company for those who love to know more about the yogis, the mountains, their sadhana, their powers, their lives and so much of mystical experiences surrounding their lives. If you are an avid reader with similar tastes blindly go for this book. I was happy to see another yogi (Babaji) who carried wisdom from the mountains from ancient siddhas and empowered with such healing powers. More of everything he was a grihasthi and was so practical about his teaching of living life to the fullest. His words had power. He commanded serenity. His teachings were so practical and easy to understand. He described the scriptures in such a beautiful way in this Kaliyuga. By this time, I decided to go for the shivir, my first shivir in Pune in May 2009. There what I experienced cannot be explained in words. One day during the shivir break, I went to the Divine Shop and saw some magazines there. I was surprised to see Bade Baba's photo on it and asked the people there how come Bade Baba's photo was in this magazine. It was a pleasant shock when I was told that Babaji's Guru was Baba Nityananda! Standing right there, I had a rewind sudden flashback of everything happening in my life and things got clear as to how I was divinely guided here by Bade Baba to meet the person whom I had longed to meet my whole life. Everything just fell into place! Though all these incidents of reading the book, visiting Ganeshpuri, coming to Babaji happened separately without my conscious knowing, I realized the synchronicity of these incidents. After that, the bond with Babaji and Bade Baba has been just splendid. Now, when I look back I understand the series of events in my life and the series of incidents that brought me to where I am supposed to be. That does not stop me from being a Christian either. I love talking to Christ and just love the loving energy of his. Christ is happy for me for he is just beyond the barriers of religion. 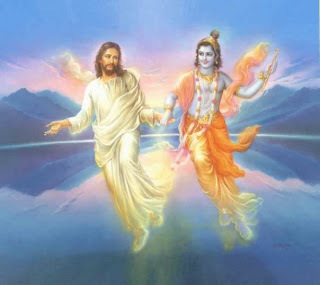 In fact, in my last mumbai shivir when Babaji was invoking Lord Shiva unusually this time I saw Christ. I would not be surprised to see Shiva next time I talk to Christ in a church...lol... Such magnificent are the ways of the ascended masters to communicate with us human beings. 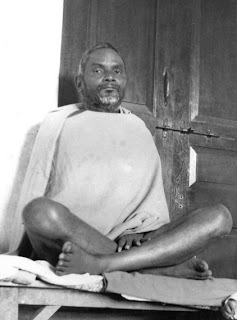 Of all the siddhas, my most closest bond has always been Bade Baba, Sai Baba, Jesus Christ, Mahavtar Baba and the lineage, Meher Baba, Neem Karoli Baba, Swami Rama and His master - Shri Dharam Das, the 18 Holy Siddhas of the South, and now I was bonded with a living siddha - our Babaji. The experience from each of these masters are not any less or not any more. Everything is very similar with their energies. I don't preach here that this is the best path or whatever; it is the best to me. Everyone has different likings and tastes. One has to follow what one feels very comfortable with. Emotional people seem to vibe well in the bhakthi marg, physical people tend to vibe with karma yog, intellectuals seem to vibe with gyana marg and meditators and people of the mind tend to go well with raja yog. I have been through all this and what I found in ShivYog is that it is a blend of all paths. Such way, all paths and all religions are the tools of the Divine. In religion and all paths if all just understood that not one's method or path is superior than the others and that all are the different road to the same destination, all the chaos in the world will end. Every religion and practitioner have gems to offer and none can be completely discarded. As Babaji says, "Sab santh ek math." Now, when I interact with ShivYog sadhaks or followers of Babaji I learn about their incidences and connection with Babaji. It is such a great network and a divine mystical plan of interweaving everyone together. Just like the divine calls out to humans through different paths, within each path also the divine calls out to people in different ways. This will be elicited if you hear people sharing how they came into ShivYog - all were beautifully guided, in some way or the other. The calling is always gentle by the divine. The reminders are always gentle. But when one pays no heed to the truth of one's purpose on earth, one is put to test and sometimes put to the extremes from where one struggles in desperation to catch hold of the invisible hand that was always there but not seen until now. Namah Shivaya Co Traveller! Thanks for sharing your wonderful journey into Shiv Yog. It indeed is a divine plan or play we all are enacting. As Baba Ji always say "Seek! And it shall be given to you!" We all sought and we found Him. Let us now make the most of this 'once after many life times' opportunity of being graced by a Siddha Guru. Love and warm wishes. "And I say unto you, Ask, and it shall be given you; seek, and ye shall find; knock, and it shall be opened unto you. For every one that asketh receiveth; and he that seeketh findeth; and to him that knocketh it shall be opened." All truths are eternal and same but spoken is so many different ways and language! Truly we sought and we found him - Thank you Babaji. You are doing an excellent job. I follow your blog regularly and must say that it is insightful and inspirational. I look forward to read your blog on different topics. Keep sharing your views and experiences, they are wonderful. Can you elaborate on mind and soul... how they are different or similar...i am bit confused..
Is it ok to ask you to share your email-id??? Shilpa, You may write to me at vigorheart@yahoo.com. I am overwhelmed reading your sharing. Your journey is inspirational. I again thank you for pointing me to your blog.God Bless you. Thank you Preet and Anuj Bhaiya... Namah Shivaya..
Great article Jacob ..I loved reading it.many thoughts of urs I could recognise with myself also like d ones "I pondered why a child is born with abnormalities when such a little being cannot sin? Why a dog who lies calm in his own place without hurting anyone had a broken limb? Isn't God watching? Why does he not do something for these little creatures? I failed to understand why the best of people doing good suffered while the bad still enjoyed? these are the feelings which I also had.I thought why doesn't God help and save one in difficulties like a girl being tortured or ill-treated.or she being killed .I felt y cant God help.I was so emotional like i could not see an ant dying ...i tried to pick it up and save it frm water,..hahah.but now i have becm more rough and practical and less emotinal...many many things were interesting to read...god bless. It's nice that you have outgrown all those sympathy emotions but at the same time we must not lose our compassion. We must do our duty to save whatever is possible by us. Babaji says, "Do not pity but have compassion." In compassion, one helps without being attached to the consequences or letting emotions run haywire. Namah Shivaya.. I just came across your blog and i am very impressed with all the contents on your website. You are doing a wonderful service to the humanity. When i read this post, it looked as if you were writing my experience. I have also gone through the same path that you have gone thru. That is first i read autobiography of a yogi by Paramahamsa Yogananda, then met Baba Muktananda, whose Guru is Bhagwan Nityananda.Then somewhere i got lost and when i saw Baba Shivananda all my experience got rekindled. I want to download some of Babaji's video but i couldnt do so. Can you tell me how i can do that. Nice to know this friend. Do write to me at - vigorheart@yahoo.com and I'll let you know how. namah shivaya.. I am gratefull for you article which is very true, i had and having similar experiences.I feel very emotional when I am reading your note. Thanks Jacob.